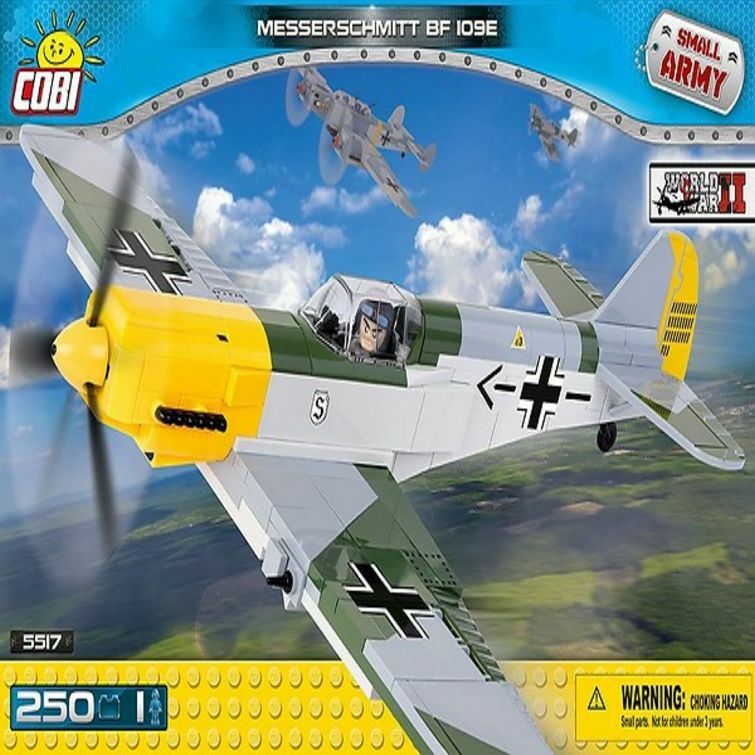 The Messerschmitt BF 109E was a fighter plane from Germany. It was the basic Luftwaffe fighter during World War II. The BF-109 had a low-wing made of metal construction and retractable landing. The Messerschmitt in version E (Emil) could reach the maximum speed up to 570 kph and maximum flight level 11,000m. It was armed with two 7.9mm machine guns and 3 MG FF 20mm cannons. This fighter was capable of taking 3,000 bullets onboard. This unique construction block plane has retractable landing gear, a rotating propeller, flaps and easy to disassemble pilot’s cabin. In the set, apart from the plane, you can find a figure of a pilot and a stand also made of blocks.